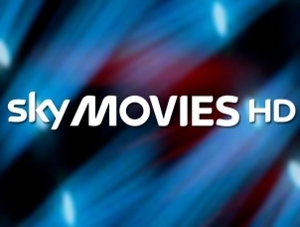 Six Hollywood studios have responded to the Competition Commission judgement that their deals with Sky are anti-competitive. The watchdog gave a provisional ruling in August that the exclusive pay-TV deals were anti-competitive. In responses published by the Commission, Disney, 20th Century Fox, Paramount, Sony Pictures, NBC Universal and Warner Bros attacked the Commission for failing to properly assess levels of competition in the market, as they see it. Notably, they say the Commission has not accounted for the arrival of competing over-the-top services such as Netflix. However, two studios – Paramount and NBC Universal – do favour the Commission’s suggested remedy of granting services such as Netflix access to the Sky STB. Sky, of course, is set against ‘opening the box’. In its submission it argues “the effect is likely to be marginal” and “it is plain that (open access) is not justified on the basis of the evidence and analysis put forward by the Competition Commission” because “Sky’s Ethernet-enabled set top boxes do not meet the conditions required to be considered to comprise an essential facility to which access should be mandated”. Netflix has implied it may start bidding for first pay-TV window rights against Sky.